Cooking is a beautiful way to bring simplicity into your life. The more you are able to let simplicity (& creativity) flow through you in the kitchen, the better your food will taste. The recipes here add an energetic component that will bring more life to you & your food, leaving your guests in orgasmic pleasure. Each recipe is available to download in PDF format for 99¢. 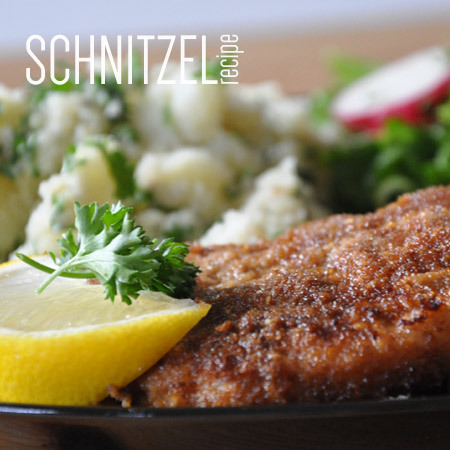 Schnitzel is a boneless meat, flattened, coated with flour, eggs and breadcrumbs and fried. Pork is traditionally used but you can substitute it with chicken, veal, beef or turkey. It’s super good and easy to make!!! Oh and when you serve it with potato fries, you’ll have insta-friends.